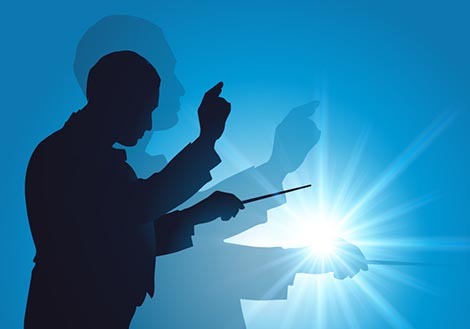 Question: How do you go from EXECUTION to ORCHESTRATION in your supply chain? "Innovations from ASC were awarded the 'Microsoft® Pinnacle Award for Innovation' and those innovations are the key to our daily business operations. By using ASC's advanced workflow solutions, we save time, insure accuracy, and keep our customers happy. Additionally, we are able to ship customer orders almost as fast they are entered." ASC innovations: For more than 27 years, ASC has been providing both process-based and technology-based solutions for supply chain operations. ASC innovations are often used as benchmarks and have become an industry standard. Award winning innovations: Consistently winning top awards every year, we are pioneers and innovators in our processes to solve complex supply chain challenges. Adaptable and affordable innovations: In today’s ever-changing business environment, your clients' needs have become more complex. They require more features, more automation, better adaptability, and affordable costs when solving complex challenges in the supply chain. As a leader in innovation, ASC can proudly say that “we have been there, done that” and adaptability is built into our solutions. Orchestration by innovation: As an example; ASC has engineered complex algorithms for conveyor and automated picking systems using pick waves from multiple zones. We believe in automating a proactive approach (orchestration), versus a reactive approach (execution or expediting mode.) This type of innovation allows our clients to easily move from conception, to execution. and finally to full orchestration excellence in their operations. ASC experience: You and your company can benefit from both our experience and continuing innovations, as we are constantly adding new features and innovations, allowing for real orchestration in your supply chain. ASC announces another innovation – an embedded tool set inside best-of-breed Warehouse Management System (WMS), ASCTrac® WMS. Designed for large-scale global deployments, every ASCTrac® Mobile device can be checked and updated seamlessly in a global enterprise. Every mobile device, printer, and wireless access point can be tracked and supported from a single console by the IT team all inside ASCTrac® WMS. Administrators can track all supported devices across the enterprise and devices can be segregated by country, region, site, language and more. Usage metrics can be tracked per group, by site, or other search criteria. Repair history information for each of the devices can also be tracked across a global enterprise. We invest heavily in our R&D so that you will have the best processes using the latest technologies and innovations to use in your supply chain. Even with twenty-seven years of great innovations for the WMS industry, we are constantly updating our products with the most current innovations for your future growth. ASC has the best record of innovations and the best ROI and TCO in the industry. Want to know more? Contact us and we will help you become successful too!